El Panecillo or "Bread Loaf Hill" is an iconic part of Quito, Ecuador. 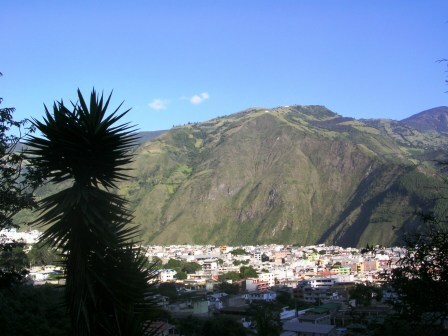 The hill divides South Quito from the rest of the city and has been an important part of Quito's history for hundreds of years. The small, round hill has be described as a little loaf of bread...thus the name. Before the arrival of the Spanish, an Inca temple for sun worship was located on this hill opposite San Juan hill where there was a temple to worship the moon. 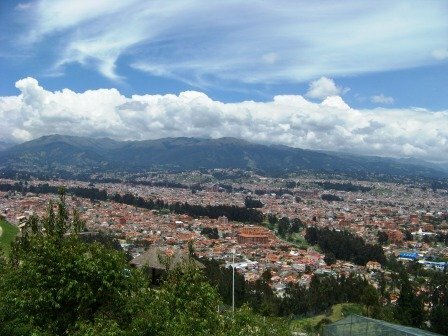 The Incas called the hill "Shungoloma" or "Heart Hill." The sun temple was destroyed at some point during the conquest by Spain. In colonial times, the hill was kind of a natural boundary for the city. However, in time, the population of Quito spread around and up the sides of the "Bread Loaf." 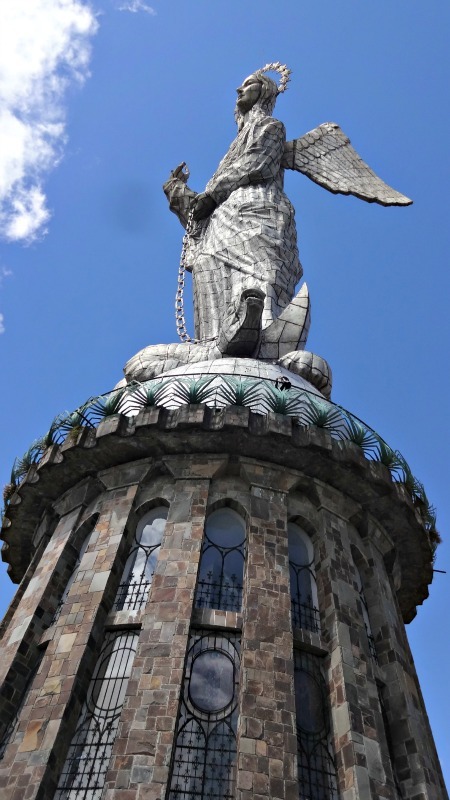 In 1976, the winged Virgin of Quito that everyone recognizes was built from seven thousand aluminum pieces. It is said to be the only winged Madonna in the world. The Virgin is crowned with stars and stands on top of a serpent and a globe. She is said to represent the "Woman of the Apocalypse" described in the Bible. The Virgin of Quito stands on a snake on top of a globe. You can visit the little museum located inside the base of the Virgin for a small fee, but the real draw is the view. 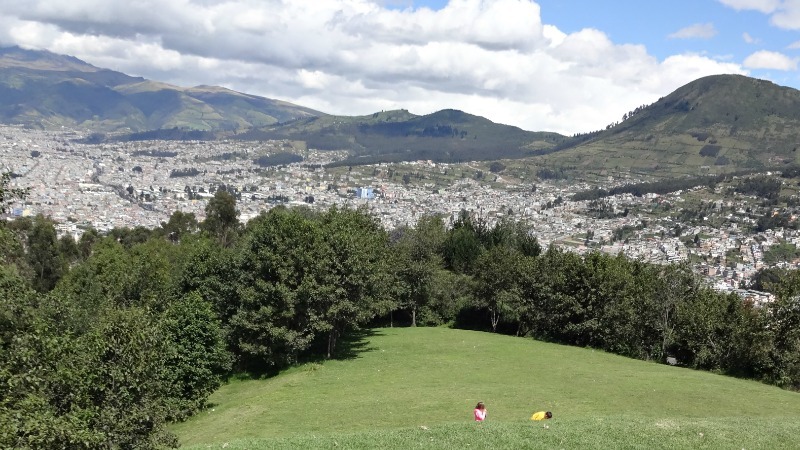 You can see a complete 360° view of Quito and on a clear day you can see seven nearby volcanoes. While enjoying the view you can also have a snack and something to drink. Plus there are some stands where you can buy souvenirs. 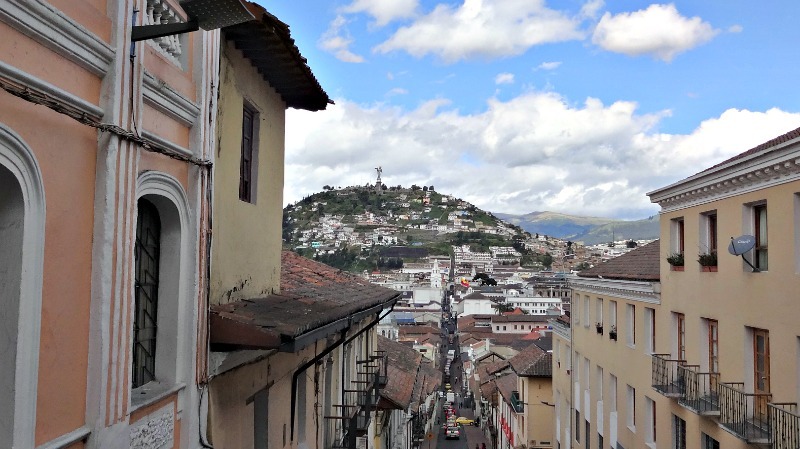 Walk: There are staircases leading all the way up from Old Town Quito to the Panecillo. However, there have been reports of thieves taking advantage of tourists. So this route is not recommended. Taxi: A taxi is the most common way to get up to the monument. If you are driving yourself, there is ample parking available. Tours: Many tours of the Historic Center of Quito include a visit to the statue. 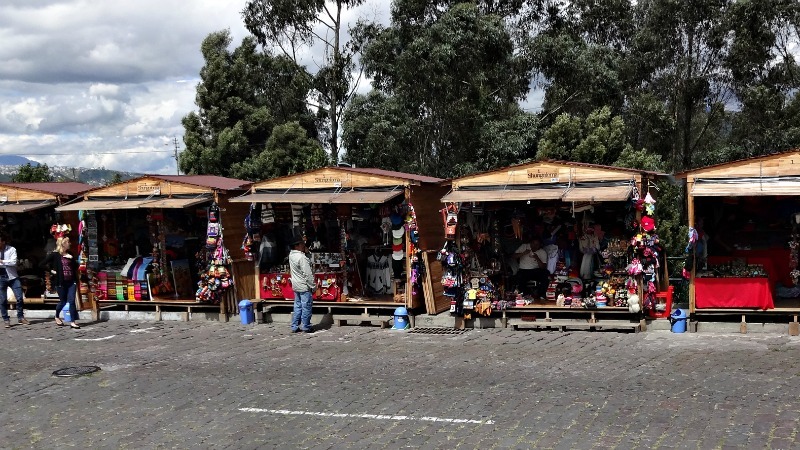 We took the Quito Bus Tour, which stops for half an hour on top so you can take a look around.